Azerbaijani confectionery factory Ulduz plans to expand its exports in the near future. Presently, the company's products are present in Georgian, Turkmen and Russian markets, company's director of sales and exports Sergei Spiridonov told Trend. "We are currently working with Ukraine, Malaysia, Israel and Saudi Arabia. Our products are also represented in Iraq. We are currently negotiating with Iran in order to start exports to that country. We consider exporting our products to Iran. Taking into account not only the high demand, but also convenient transport route, the Iranian market is quite promising. In parallel, we are also negotiating with Belarus in order to export chocolates there. As for cooperation with Russia, we are particularly well represented in Dagestan and the Chechen Republic," he said. The director noted that export volumes depend on the season, as sales tend to grow closer to winter period, and at this time the main task of the enterprise is to increase production. “Export is interesting to us, first of all because it is foreign currency, additional investment that will come to our republic. And this means that due to the incoming money, we will be able to buy raw materials and pay to suppliers. Of course, we plan to increase our export potential, expand the geography of sales and increase the volumes," Spiridonov said, adding that the company currently operates in two shifts. The trade and distribution company Veyseloglu was created in 1994, and today it cooperates with 116 factories in more than 20 countries around the world. Confectionary factory Ulduz is a part of LLC "Veyseloglu-Yayjily-Gardashlar". The launch of the Ulduz chocolate factory in 2001 gave a strong impetus to development of the industry of confectionery and food products in the economy of Azerbaijan. 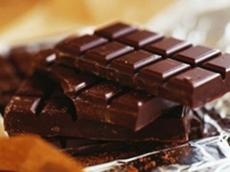 The know-how of famous chocolate manufacturers were studied in Germany, Belgium, Italy and a number of other European countries, and new state-of-art equipment was installed at the factory. The company uses modern equipment made in Italy, Turkey, Germany.